Apple is expected to include Face ID on all three of its 2018 iPhone models and on the 2018 variants of the Apple iPad Pro. According to a report out of Korea, to help Apple build these features into the next generation of its smartphone and high-end tablets, the company has signed a pact with LG Innotek to provide it with some of the components needed for Face ID. More specifically, we're talking about the 3D sensing modules that help map out a 3D image of a face. Now that Apple has a year of producing the TrueDepth Camera under its belt, things should go smoother this year. The company has arranged for a steady stream of parts, as deals with LG Innotek and Finisar have been struck. Yields should be higher, and we probably won't be passing along as many rumors about delays for the 2018 iPhone models. At one point last year, there was speculation that out of every 100 iPhone X models coming off the assembly line, only 10 were working. That supposedly took place very early in the production process. Eventually, Apple was able to build enough iPhone X handsets to handle the orders that were coming in following the phone's launch on November 3rd, 2017. 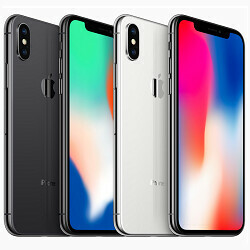 The three 2018 iPhone models are expected to include a version that features a 5.8-inch edge-to-edge LCD screen. It will come with just one camera on back, no Force Touch, and could be priced in the range of $650 to $900. That would the Apple iPhone 9. The Apple iPhone Xs will have a 5.8-inch OLED display, and the Apple iPhone Xs Plus will carry a huge 6.5-inch screen, and feature dual SIM capabilities. All three 2018 handsets will come with the TrueDepth Camera in the front only. A rear mounted TrueDepth Camera most likely won't be seen until the 2019 iPhone units are unveiled. The phone that many consider a great phone is actually a Frankenstein phone. Does Apple even attempt to make anything it's self? This is why in the end it's only one pioneer and that pioneer is Samsung. This is coming from Pixel 2 owner and I definitely will say the Note 8 is best phone and the note 9/10 will change the smartphone landscape. Samsung Samsung Samsung Samsung clap clap clap. Are you serious? Every phone, even those from a conglomerate like Samsung uses of components from different manufacturers. Apple design quite a few components them self though. I dont think so because Steve jobs once told Tim Cook when he proclaimed as the new CEO of Apple (not the exact words) that no matter happens do what he (Tim cook) thinks best for the company and not be a shadow of Steve Jobs legacy. They really need to figure out the Problems in there Face ID. Look three siblings are unlocking the iPhone X using the Face ID, that's really sad. Go through channel Phonebucket (YouTube), they have demoed this. Face recognition is the future, companies will follow Apple sooner or later when they actually get it working like Face ID, which means it's secure enough to be only method. You mean like when Apple followed Honor with Face ID. The Honor Magic released in Jan 2017 was the first phone to have true full 3D facial recognition. It may have only been released in China but the facial recognition worked perfectly and was just as secure. But as usual you will say Apple invented it all. "The Honor Magic released in Jan 2017 was the first phone to have true full 3D facial recognition." Wrong, it wasn't 3D have you seen the setup? you basicly take photo of your face from front, you don't do any movement to scan your face in 3D. So no 3D, no security. "It may have only been released in China but the facial recognition worked perfectly and was just as secure." you couldn't even use that for unlocking the device :) secure? no 3D=you can fool it by using a photo. Of course you could use it for unlocking the device, it was full 3d facial mapping. Go watch the video's of it's setup and use. That would you think but actually not. No i can't find anywhere any info or video for someone opening their device with that. You would expect all the news related to that device would have started with line how cool is it to unlock your phone with your face. Yet every news and reviews was about the feature that you can hide notifications from others. No-one mentioned anything about unlocking the device. Not even huawei official video ad didn't show that, they show fps. So if you have any kind of proof, then show me, i found zero info about that. And i don't expect you to find any either because it would have been big news. https://www.androidauthority.com/honor-magic-release-date-price-specs-features-736484/ "Honor Magic standout features With the core specs out of the way, we can get to the good stuff. The Honor Magic is supposed to have several interesting additions, many of which are supposed to showcase AI driven features. One of these standout features is the WiseScreen sensor, which combines a sensor in its frame and an infrared sensor in the front-facing camera. What exactly does this do? When the owner of the Honor Magic picks up the phone, the frame sensor and the camera are supposed to recognize the owner’s hand and eyes, which then turns on the screen. When the phone is put down by the owner, or put away in a pocket, the screen is supposed to turn off in one second. Another new feature is called FaceCode Intelligent Recognition. Any message notifications on the phone will only reveal themselves for pre-registered faces. That means you shouldn’t have to worry about anyone picking up the phone and seeing messages that they are not suppose to see." I saw all this from YouTube, but again no mention about unlocking the device, i also found the honor magic launch event video and they didn't show that there either, so 99,9% sure it doesn't have face unlock feature.